A tantalizing taste treat. An ancient Greek formula. Perfectly prepared blend of 13 ingredients. No other spices necessary. 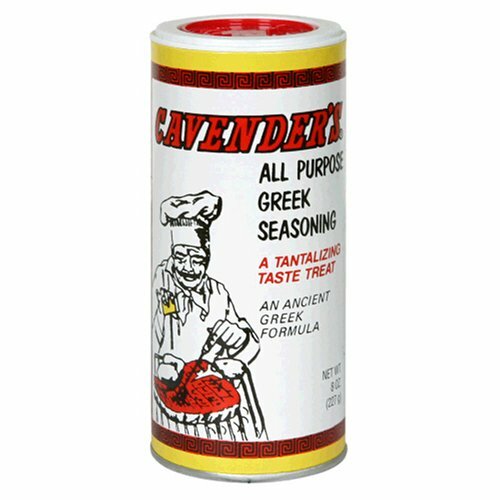 Cavender's seasoning is as distinctive in the foods of today as those prepared for the feasts of the ancient Greeks. Excellent on steaks, chops, roasts, meat loaf, chicken, fish, turkey, hamburgers, seafoods, and wild game. If you have any questions about this product by Cavender's, contact us by completing and submitting the form below. If you are looking for a specif part number, please include it with your message.